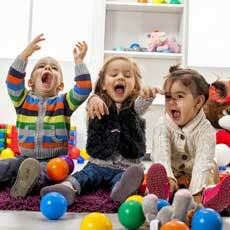 CHILD DEVELOPMENT ASSOCIATES (CDA) was founded in 1974 when it opened one small subsidized child care center. Today, CDA operates six state subsidized full-day preschool centers in the southern area of San Diego County and an Alternative Payment Program throughout San Diego County. Child Development Associates is also the largest sponsor in the State of California for the Federal USDA Child Care Food Program.